While the presentation of the search results may change, our most important advice to webmasters remains the same: Users want to visit pages with compelling content and a great user experience. 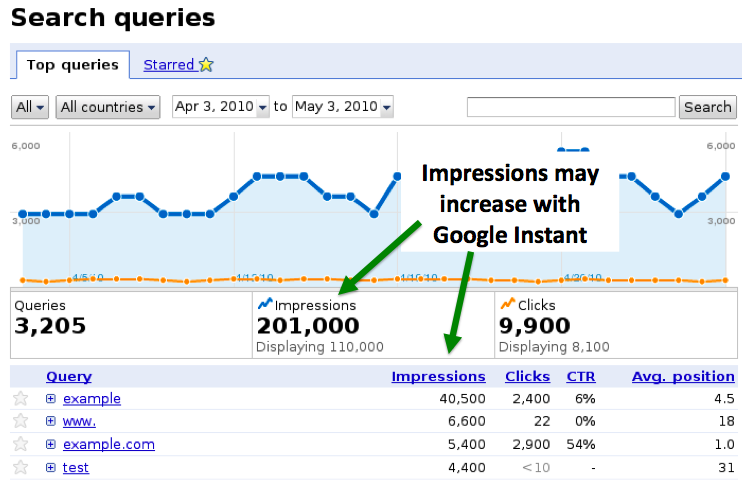 With Google Instant, you may notice an increase in impressions because your site will appear in search results as users type. 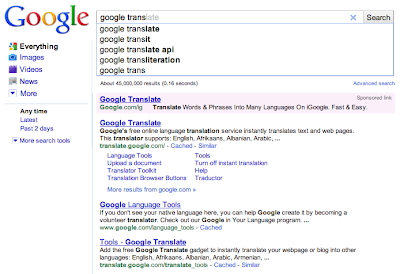 Your site is displayed in search results as a response to a user’s completed query (e.g. 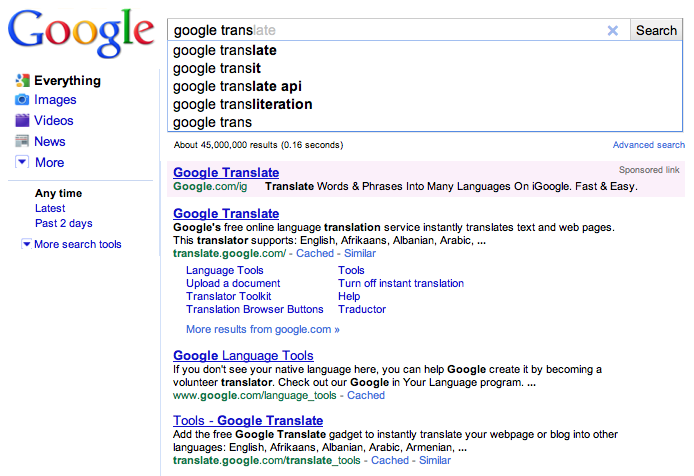 by pressing “enter” or selecting a term from autocomplete). This is the traditional model. To give an example, let’s say your site has lots of impressions for [hotels] and [hotels in santa cruz]. Now, because Instant is quickly fetching results as the user types, the user could see your site in the search results for [hotels] after typing only the partial query [hote]. If a user types the partial query [hote] and then clicks on any result on the page for [hotels], that counts as an impression for your site. 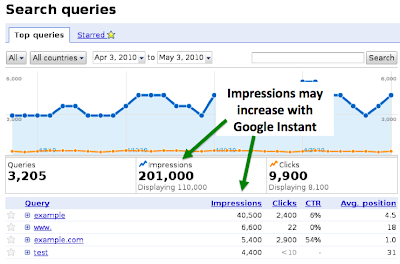 That impression will appear in Webmaster Tools for the query [hotels]. The term 'hotels' would also be included in the HTTP referrer when the user clicks through to visit your website. Let us know if we can help you better understand how these changes impact Webmaster Tools, measured Search queries and impressions, CTR, or anything else. We’d love to hear from you in our blog comments or Webmaster Help Forum.